\"Pride of ownership best describes this one-of-a-kind opportunity in Laulima!\" A perfectly situated golf course frontage home on the 12th fairway. This is a large 3 bedroom, 2 bath floorplan that includes a loft area spacious enough to be used as a 4th bedroom with a walk-in attic/closet! In addition to remodeling, the upgrades reflect incredible attention to detail that include: Italian porcelain, engineered hardwood floors, closet systems, Pella windows, professional landscaping and irrigation system, new roof with 50 year warranty, a hot tub outside the master bedroom and new kitchen appliances. An added bonus is the 519 sq. 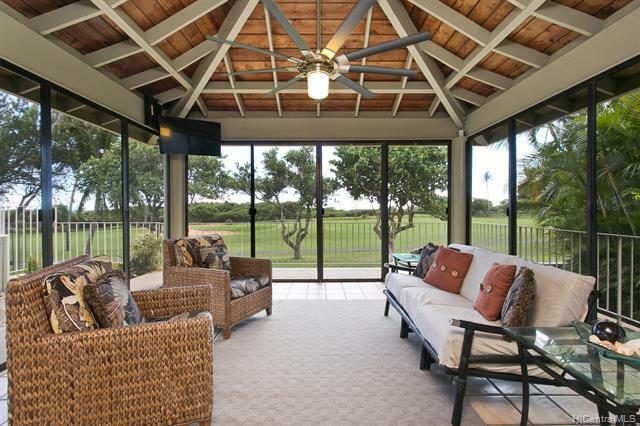 ft. screened-in lanai with gorgeous golf course views and pockets of ocean views. Imagine unwinding here after a busy day! This is truly a place to call home.